One of the chief foci of modern scholarship addresses the question of Second Temple Judaism. For the reader to understand the influences of liberal theology in this area, especially as Wright employs such studies himself, I would suggest E.P. Sanders' book: Common Judaism, Explorations in Second-Temple Judaism. At the core of this system of thought is this assumption that the N.T. Writers were heavily influenced by the contemporary Judaism of their day, along with the intertestamental writings found within the Pseudepigrapha. 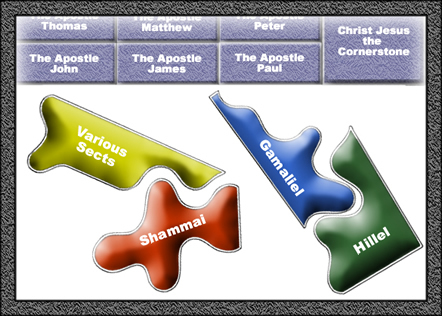 From these broad assumptions, Wright then argues that the Apostle Paul was deeply influenced by Shammaite Pharisaism - this despite the fact that it contradicts Paul's own testimony regarding the background and value of his pharisaical pedigree. In this chapter, we explore Wright's arguments on this matter in contrast with Paul's own testimony about himself. 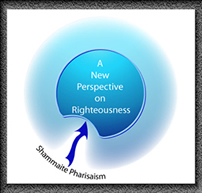 It is no small thing for one to suggest that this Apostle of Jesus Christ was mostly swayed by his past, especially a supposed Shammaite-pharisaic past.